I just came back from our annual sales meeting where we got to play with all our new products. The creative talents of our product development staff continue to amaze me, and I’m happy to say after 15 years of working for Discount School Supply®, I still love my job. And why not? 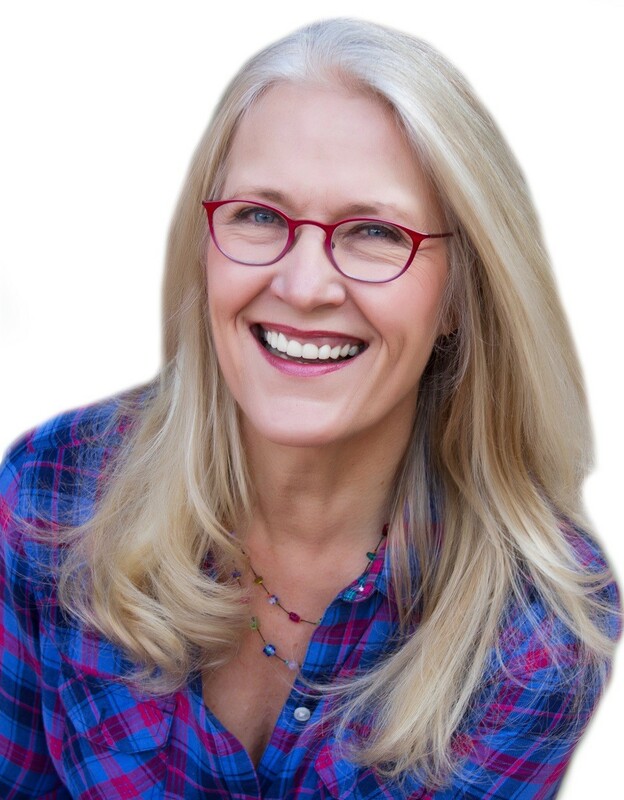 I get to share creative ideas with people like you, and know that I’m helping make a difference in the lives of children. Let’s talk a walk down “memory lane” and recall the simple woven “pot holders” that many of us made as children. Do you recognize them pictured here? It’s a new product in our Arts & Crafts, and it brought back many childhood memories. When I was in early Elementary School, I was obsessed with making pot holders in every color imaginable. Did you make them too? If not, it’s never too late to start this simple and affordable weaving process, typically for children ages five and up. Not only is it fun, it’s a great learning tool that exercises pattern-making skills, problem solving, critical thinking and fine motor dexterity. Or, check out this YouTube video for more fun instructions! How many bags of loopers would you need for a group of children? 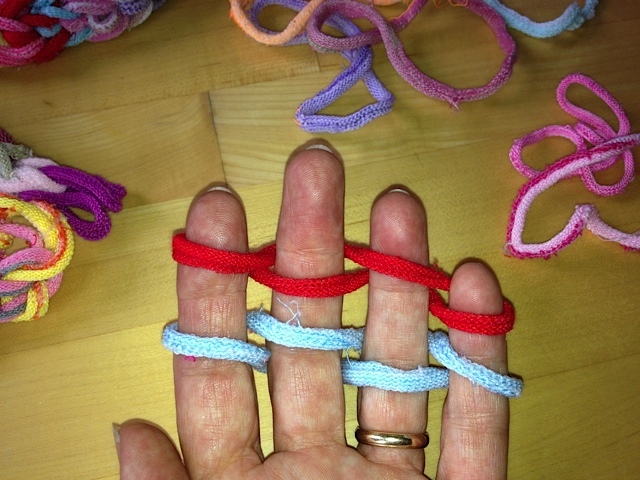 Our small group made eight long loop necklaces and a few bracelets with one bag. I’d recommend ordering one bag for every six or eight students, and at $5.99 a bag that is a very good summer deal! 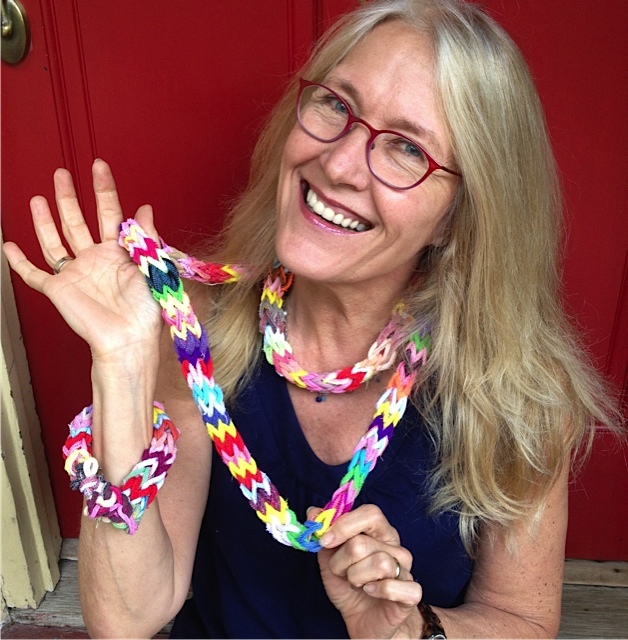 This is a perfect summer camp and vacation activity because once kids learn how to finger weave, it’s a completely self-directed and loved by boys and girls alike. Pack a bag in the car with you before you go on a family vacation, you’ll be glad you did. PS – What about math? 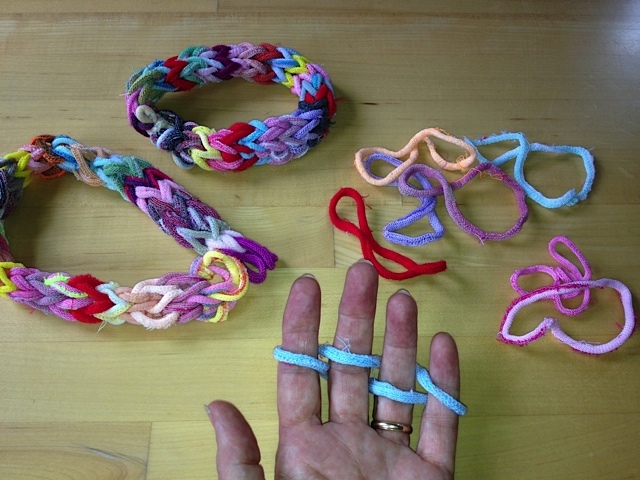 Loom weaving and finger weaving both exercise fundamental math skills, like these from Teacher Quicksource®. 1. Recognizes Spatial Relationships. The child is able to understand positions and direction, such as right-left, top-bottom, behind-in-front, between, under, over, etc. 2. Classifies and Sorts by Attributes. The child can classify and group objects based on the similarities and differences of the attributes of each object, such as color or size. 3. Creates Patterns by Extending and Comparing. The child can copy, extend or create a pattern, such as colored blocks: black,red, black, red, black ….